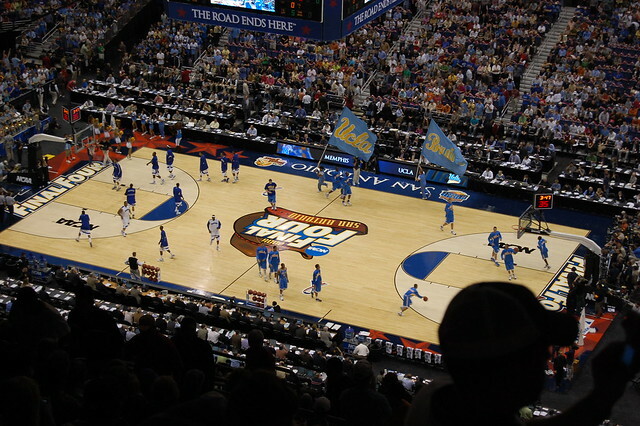 This March’s TV ratings for the NCAA Men’s Basketball Tournament mark a four-year high, placing 2019 in a tie for the third-largest March Madness viewership since the early 1990s. Considering that 2017’s title game drew 23 million viewers, last night’s championship is positioned to exceed that number. High-visibility sporting events like the Final Four not only influence our perceptions of race and sport in a number of ways, but they can also alter the power dynamic between players and owners. In an interview for Match Volume, Sociologist Ben Carrington explains how. Fans may look forward to high visibility events like the Final Four to escape the pressures of day-to-day life, but sports can have real-world impacts. For example, entertainment sports skew the perception of racial representation within sport, leading fans to believe that Black athletes have more success than they really do. On the other hand, the sport-as-entertainment industry’s dependence upon Black athletes gives them tremendous power, which NBA players have capitalized on. NFL owners’ fear that players would harness this power likely prompted their backlash against Colin Kaepernick, Carrington explains. Given that hot-button issues like these are topics that frequently come up when Carrington teaches “Race, Celebrity, & Sports” and “Politics of Sports” at the University of Southern California, he emphasizes to his students that thinking sociologically — not adopting his political point of view — is the key to getting a good grade. Carrington’s goal is to encourage his students to think independently, marshal critical thinking, and use good evidence and data to support their opinions, no matter what side they’re on. For the rest of us, high-profile sporting events like the NCAA Championships invite us all to reflect on the social patterns that shape them.